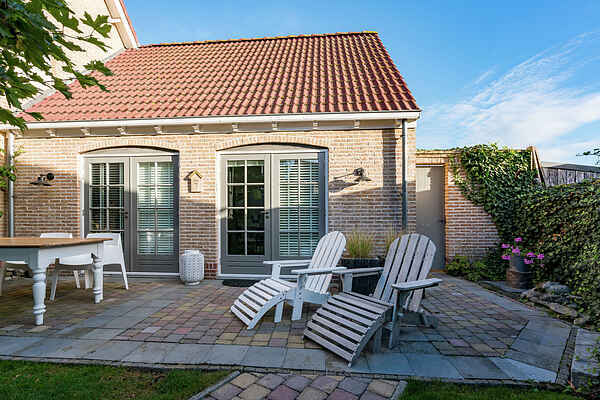 This comfortably furnished holiday home is located in the village of Ovezande. After a beautiful cycling trip or a day out, you can come home and relax in the sauna or steam shower. Relax on the peaceful terrace while enjoying a delicious drink. Ovezande lies in the heart of the Zak van Zuid Beveland region and is known for its stunning floral dykes. You can walk or cycle straight to the beautiful natural surroundings from your holiday home. Baarland features a beach pavilion with a pleasant terrace and you can enjoy the breeze on the Westerschelde dykes. Goes (13 km) and the historical city of Middelburg (30 km) are certainly worth a visit. Vlissingen can be reached within 20 minutes by car and is perfect for a day on the beach.